Just a place to post about the movies we see, not necessarily good or bad but just a place to talk about 'em as we see 'em, and to shed our opinions. Just saw Avengers: Infinity War. It was pretty good for what it was, did what it was going for much better than I assumed it would and Thanos is a good villain and is almost like the main character of the movie. I would suggest seeing it if you are into Marvel stuff. If you aren't interested in it, then probably don't see it. Wouldn't strongly recommend it in general but if you like the MCU it's a movie worth watching. I enjoyed my experience overall with it. 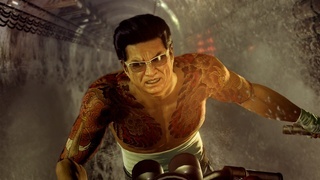 Ozawa Hitoshi (Kuze in Yakuza Zero) is in the cast'.